Gifts come in all forms and sizes these days and by the looks of it, this one is HUGE. 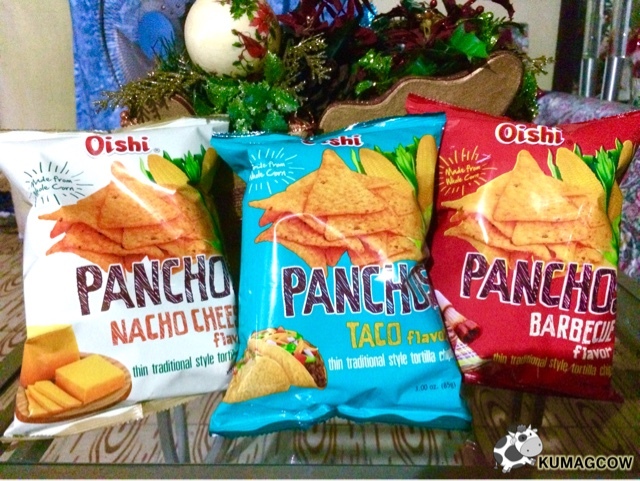 This special bag contains PANCHOS, a new corn snack from OISHI that's available in three flavors. One is Nacho Cheese, Barbecue and my personal favorite Taco. This snack is great on it's own but more fun if you had dips with it. I love it with Mayonnaise and Garlic Aioli, it even works with Guacamole. I remember dancing to La Cucaracha years ago which was sung by legendary Trios Los Panchos, so in a nutshell I know Panchos is a common nickname given to people with Francisco first names. 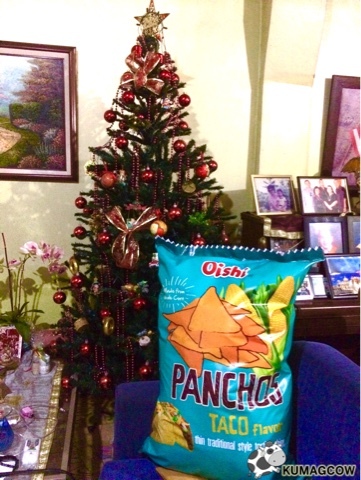 I guess this one is totally Mexican but plays on what Filipinos love about their food. Now that you know about it, go get them at stores, groceries and supermarkets nationwide. Trust me on the Taco, I assure you, you'll love it!